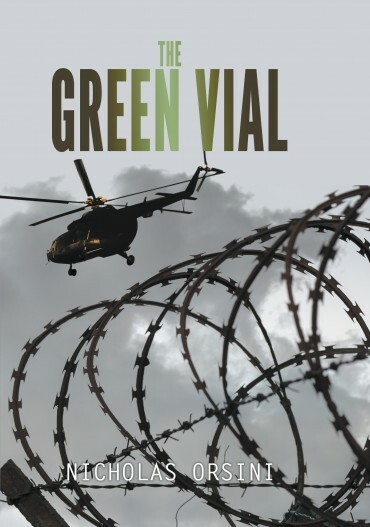 The Green Vial, the crackling new techno-thriller from Nicholas Orsini, is about a dedicated and highly professional government scientist who gets drawn into a terrorist plot. It all starts with a deadly earthquake in the Iranian desert. Dr. Roger Rogers, a geophysicist with the U.S. Geological Survey, and his attractive graduate assistant, Teresa Marchetti, team up to lead an on-site investigation to gather scientific data from the region for their research studies. In Iran, the two meet their Iranian counterparts and Bjorn Arnarson, a Norwegian science attaché. All goes well until they are forced to make an emergency landing in a restricted biological-weapons development area and are taken into custody. While in confinement, a disillusioned member of an underground faction tells Rogers about the plot and attempt to extort millions of dollars from the U.S. government under threat of dumping anthrax bacterium into the water supplies of several major cities. With literally millions of lives at stake, Dr. Rogers finds himself confronting unimaginable challenges. 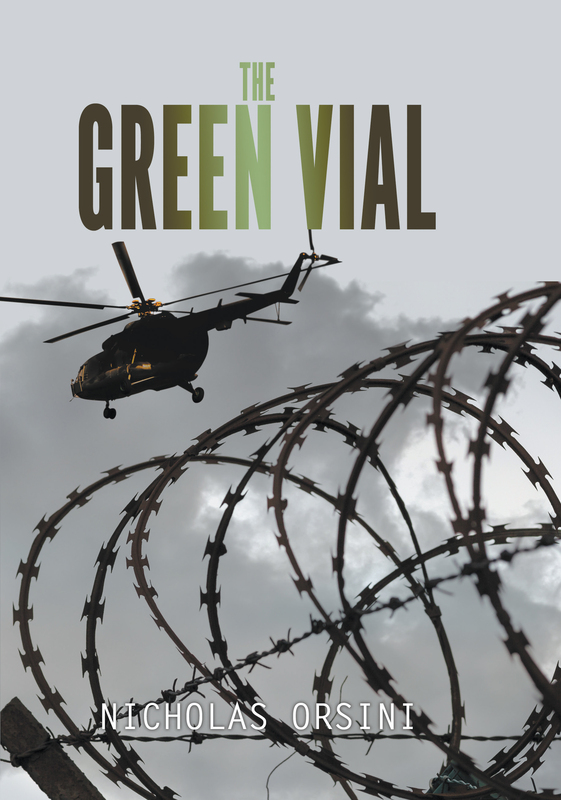 What follows a dramatic escape via the Afghani border, a detour to Norway (where additional threads in the case are unraveled), and, ultimately, the involvement of the Defense Intelligence Agency and the U.S. President himself reveals Orsini as a master of suspense a worthy and welcome heir to the tradition that includes Patricia Highsmith, Graham Greene, and John le Carre. A graduate of Colgate University, NICHOLAS ORSINI grew up in South Glens Falls, New York. He served in the Air Force for twenty-four years, retiring with the rank of Lieutenant Colonel. 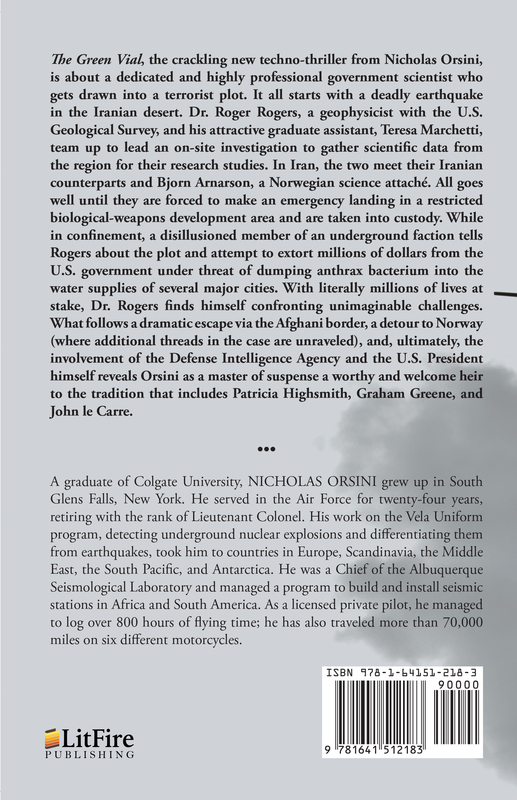 His work on the Vela Uniform program, detecting underground nuclear explosions and differentiating them from earthquakes, took him to countries in Europe, Scandinavia, the Middle East, the South Pacific, and Antarctica. He was a Chief of the Albuquerque Seismological Laboratory and managed a program to build and install seismic stations in Africa and South America. As a licensed private pilot, he managed to log over 800 hours of flying time; he has also traveled more than 70,000 miles on six different motorcycles.